I read this article and found it very interesting, thought it might be something for you. 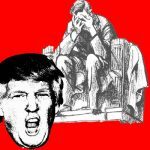 The article is called How Trickle-Down Economics Ruined the Economy and Helped Trump Win and is located at http://evonomics.com/how-neoliberal-economics-created-donald-trump-komlos/. The media is inundated with pundits analyzing the unexpected rise of demagoguery. I would like to add my own: the establishment’s utter loss of credibility. Abraham Lincoln’s warning, “you cannot fool all of the people all of the time,” has now come back to haunt them with a vengeance. It took Everyman on Main Street some time to figure out that they’ve been had and finally revolt — 35 years to be more precise. There has been no shortage of big promises since Reagan’s “It’s Morning again in America,” but in the end, they all left the middle class staring into thin wallets while their manipulators were living high on the hog. The failed big ideas began with Reaganomics. The stimulating effect of its tax cuts was supposed to “trickle down” to the masses, but the flow had the viscosity of molasses and stuck with the ultrarich. Under Reaganomics, the ultrarich had their taxes cut sharply — by about half. A millionaire who was paying $700,000 in taxes in the 1970s saw her taxes cut to $350,000 in the 1980s. But what was he or she going to do with the $350,000 windfall? Some spent it on conspicuous consumption, but many decided to fund think tanks and hire economists to support their ideology, while others used the windfall to influence politicians and shape laws. And so the tax cuts became a vicious circle in which wealth begot more wealth and still more influence. Then came North Atlantic Free Trade Association, initiated by President George H. W. Bush and eventually signed into law by President Bill Clinton. Clinton promised that NAFTA would “promote more growth, more equality… and create 200,000 jobs in this country by 1995 alone.” Of course, he failed to mention how many hundreds of thousands of jobs would be destroyed at the same time, but few noticed such nuances at the time. (It’s worth noting that his economic team was headed by Bob Rubin, CEO of investment mega-bank Goldman Sachs.) Together with globalization and the opening up of China, NAFTA devastated the U.S. manufacturing sector and the middle class with it. And the treaty has a long reach: just last month, air conditioning manufacturer Carrier announced that it will move 1,500 jobs to Mexico to its employees’ bitter disappointment. Deregulation was in full swing — always framed as modernization or in the name of efficiency. The prohibition on interstate banking was also removed, allowing for the creation of “too big to fail” banks. In 2000, Congress passed the Commodity Futures Modernization Act, which prohibited the regulation of credit default swaps. The elite forgot, however, that short-term efficiency can turn into long-term disaster when the risks in the economic system accumulate. And so we were inching toward the Meltdown of 2008, which wrought havoc among so many members of the middle class. Bush Jr.’s policies were in a similar spirit. He lowered taxes to the benefit of the 1 percent and closed his eyes to the brewing crisis. When the Meltdown came, the establishment offered trillions of dollars in support of the big banks and its CEOs. Jamie Dimon, CEO of J.P. Morgan Chase, for instance, earned some $17 million in 2009 while the whole financial sector was being propped up at Uncle Sam’s largesse. In stark contrast, Main Street received a pittance — an extension of unemployment benefits to 99 weeks. Millions lost jobs, were evicted, had to take low-paying jobs or work two jobs in the gig economy. In short, the bailout exacerbated income inequality and continued the hollowing out of the middle class. As the recession sharpened, Obama entered into office with big promises of change, but he essentially continued many of the policies of his predecessor. He appointed Tim Geithner, a former Bush Jr. appointee, to be Secretary of the Treasury. Geithner now earns an estimated $5 million salary on Wall Street. With the Federal Reserve, Obama continued to provide a generous backstop to Wall Street with the well-known TARP program. Through the TARP program, the Treasury purchased assets and equity from troubled financial institutions in an attempt to strengthen the financial sector. It wasn’t until Bloomberg LP sued the Federal Reserve that the details of the bailout were made public. The secret loans and guarantees, amounting to trillions of dollars, were meant to get the economy going again, but meanwhile, the middle class had to wait for the unemployment checks or apply for Social Security disability payments. The graph below shows this development vividly. Each bar on the left represents the post-tax (inflation-adjusted) income, including transfers such as food stamps and unemployment checks, of one-fifth of the 120 million households. Each bar represents 24 million households or roughly 64 million people. The graph shows clearly that the top fifth experienced the greatest and only meaningful increase in income during this time span. A tiny bit did trickle down to the fourth quintile — the upper middle class. But an income growth of 0.5 percent per annum, which amounted to a gain of some $300 per annum, was hardly noticeable. The poorest 20 percent of the population (the first bar) continued to receive food stamps, but with an average annual income of $18,000 a year, they had nothing but discontent. The two middle-class groups of the second and third quintile grew the least — their income growth is hardly distinguishable from zero. In fact, the third quintile (41 to 60 percent) gained a mere $32 per annum during the 32 years under consideration. While the hollowing out of the middle class is evident on the left side of the graph, the right side of the graph breaks down the growth rates of income for the top 20 percent into four groups. Here, it becomes clear that the top 1 percent was the primary beneficiary of economic growth. Perhaps some of the growth did trickle down, but not much beyond the other members of the top 20 percent. The anger that fuels Trump’s candidacy runs deeper than this graph indicates. Relative income matters, and the utter unfair bailouts of 2008 rescued the 1 percent. It is one thing not to be able to afford an iPhone if no one else has an iPhone, but it’s an entirely different feeling if the super rich flaunt not only their latest model, but their designer handbags, private jets, yachts and the other accoutrements of conspicuous consumption. Envy turns into desperation if you’re anxious about your job security, behind on credit card payments, drowning in student-loan debt or paying overdraft fees all while working part time or in the gig economy. Hence, I think that the graph below is a more accurate reflection of the welfare of the five income groups. Psychologists have shown that how we feel about our life — our life satisfaction — is reference dependent: Relative deprivation matters a lot, as we compare our welfare to that of others. The graph below assumes that people use the fifth-quintile group as reference and compare their own income to that of the top group. In my view, this graph is the real clue to Trump’s success: the growth rate of welfare is negative for all groups except the super rich. It is as simple as that. The rest of the society was left behind for more than a generation. We have had a long string of very big promises from Reagan to Obama. Tax cuts, trickle-down economics, deregulation, globalization and NAFTA and bailouts all conferred tremendous financial benefits on only one group: the ultrarich. They led to the “hollowing out” of the middle class. So wealth and its concomitant, political power, became as concentrated as it was during the era of the Robber Barons at the turn of the 20th century. So why Trump? Trump promises to bring back jobs that were lost to China and Mexico. He promises to make America — the middle class — great. He uses minorities as scapegoats — a standard strategy for demagogues to attract the support of those who have lost status and are anxious about the future. He vilifies women, perhaps in an attempt to appeal to those men who have lost out to women in the workplace. And he is rich, which many take to mean he is successful in business. Why should he not be successful in helping them regain the glories of the past? This appeals to the anxious multitude who have lost income and status and respect and are struggling to keep afloat. Bigotry, prejudice, sexism, racism — all this matters not. Important to the disaffected Trumpists is that America and their place along with it will be resurrected to its former glory when incomes were decent, they were not swimming in debt, and women and minorities knew their place in society. Productivity Is Slowing and Inequality Is Growing. Here's What's Causing it. 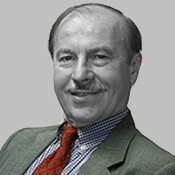 John Komlos is Professor Emeritus of Economics and of Economic History at the University of Munich and has taught at such other institutions as Harvard, Duke, and the University of Vienna. He is author of What Every Economics Student Needs to Know and Doesn't Get in the Usual Principles Text.